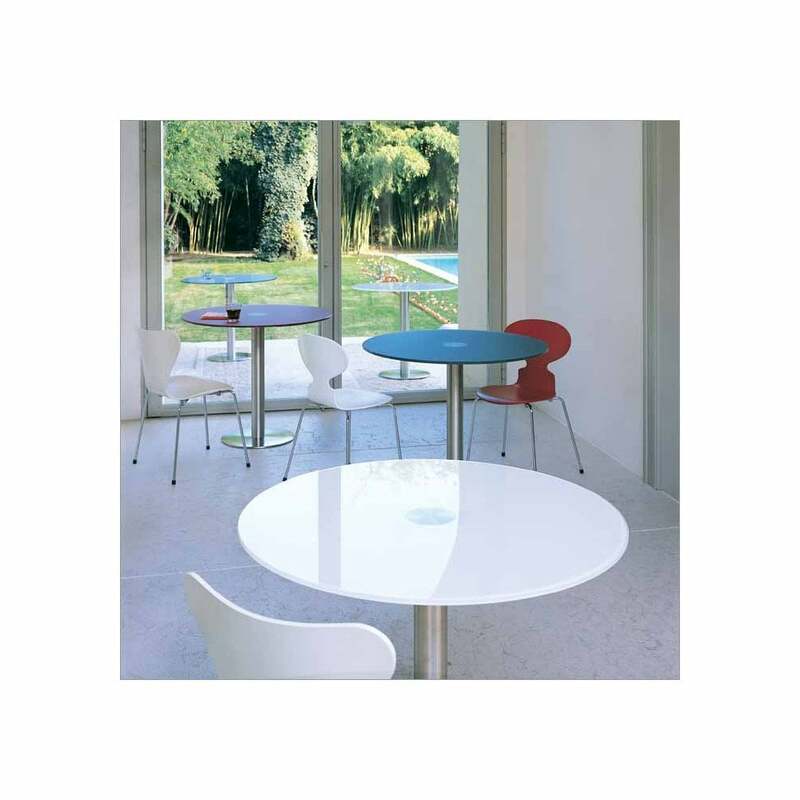 Dining table designed by Pierangelo Gallotti, with 12mm tempered transparent glass top. Bright painted glass top as per sample. Metal parts in mat stainless steel.